If you’re interested, TARGET has placed their exclusive Vandor-1 playset on sale for 60% off. Special thanks to all who wrote in to let us know! 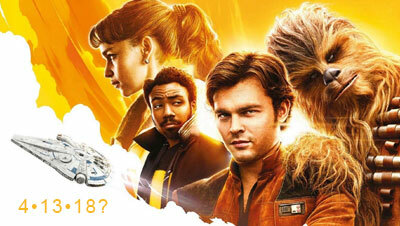 While we are still a few weeks away before Hasbro will release their numbers for the 4th quarter and full year there are already some early numbers and estimates that paint a rather grim picture for Hasbro, especially when it comes to action figures and here especially Star Wars. Click through for some very interesting numbers that may be reason for concern. If things couldn’t get much worse at retail, we have an astounding new report of retail poison hitting the shelves. Click through for more. ← Former Walmart Exclusive TBS [P3] For MSRP Or Lower On Amazon! There are only a few hours left, but TARGET is running a promotion for 20% off toys today. Hurry before it expires. Special thanks to JTA reader and friend Martin M. for the alert. ← Yes! Hide Them In A Box For Retail Sales Maximization! We have learned that a TARGET store has placed its current DPCI number for The Black Series [Phase III] 6″ figures into a “salvaged” status. 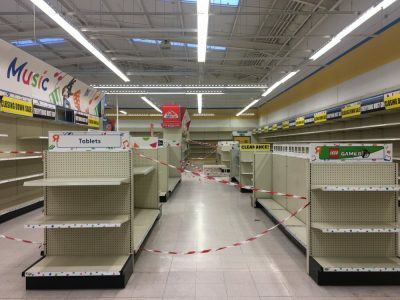 To store employees, this means that the line is discontinued and they’re not getting any more units. We, of course, know this is the furthest thing from happening. There are plenty of figures in the works. There is no cause for alarm. We saw similar activity to this last year at Walmart. It’s something retail does to purge dead stock. So, could the line be placed in a new DPCI to help with the many stock issues plaguing the line all over, or is this an isolated report? Is this a corporate initiative? Or is this simply a non-story? Stay tuned as we follow its developments. ← Less Than 10 TVC Weequay Figures Loose On eBay! Ultimate Co-pilot Chewie Found At TARGET! JTA reader Agustin found the Ultimate Co-pilot Chewie at his local TARGET. As you probably already know, this thing is adorable beyond belief. 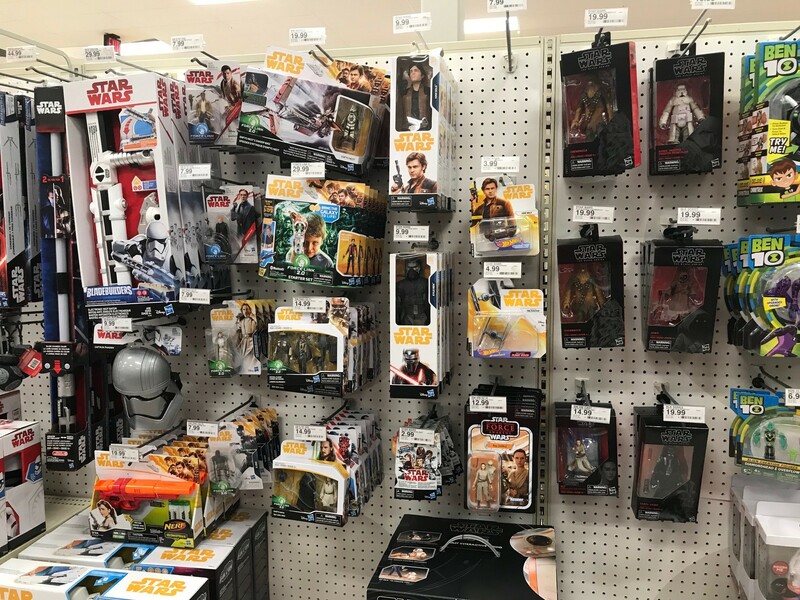 JTA reader Christopher reports in that his Lancaster, OH Target completed their Star Wars Aisle reset. Thanks for the update! Let us know in the comments if you are seeing the same in your area. I was just at my local Target in Lancaster, OH. They completed their Star Wars toy aisle reset today. They put out not only the remaining two Gamorrean guards they had in stock ( the store received in three initially and someone got one out of the back room for me last Friday ) but they also, interestingly enough, put out five of the Target Chewbacca exclusive figures which have not been on the shelf at my Target yet. And they had their own shelf label. There were a few gaps in the stock. 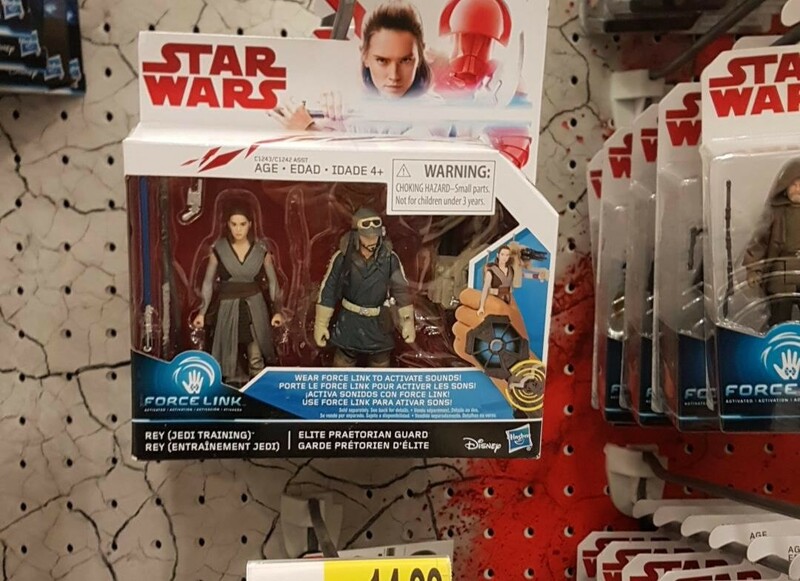 I’m interested to see what the 49.99 Kylo Ren black series tag corresponds to, as I’m not familiar with a 49.99 Kylo Ren black series Item coming out at this time. Thanks. Force Link 2.0 Wave 2 ALSO FOUND At TARGET In South Jersey! Another report! 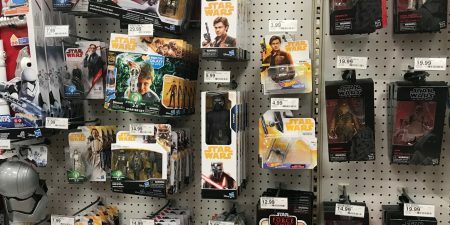 Wave 2 of the Star Wars [Solo] Force Link 2.0 wave has also been found at TARGET in Southern NJ! Special thanks to JTA reder Jason D. for the alert! In what seems to be an effort to directly compete with Amazon, TARGET has announced that it will offer same day shipping to customers in five major cities. Boston, Chicago, New York City, San Francisco and Washington DC are all on tap to receive this ehancement. Engadget.com has the full story. Special thanks to friend Martin M. for the alert. 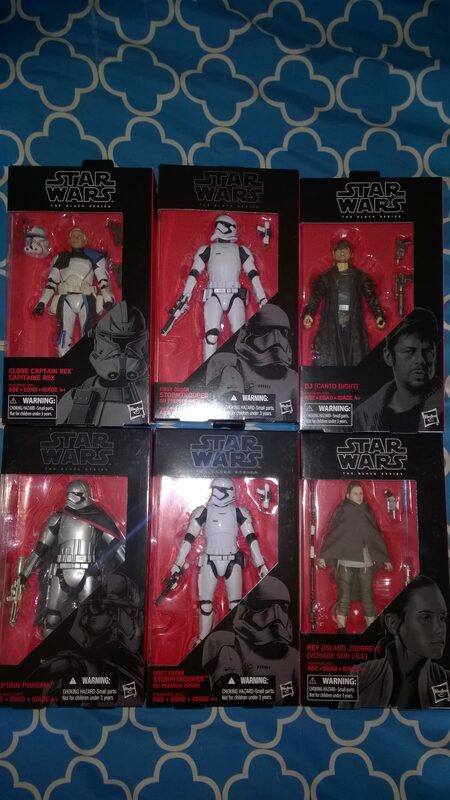 Brand New The Black Series [Phase III] 6" Figures For $10 At TARGET! TBS6 Jaina Solo (Legends) IN STOCK at TARGET.com For $9.99! 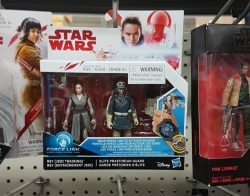 Jaina Solo (Legends) is IN STOCK at TARGET.com for only $9.99. TARGET is also running their spend $50 save $10, and spend $100, save $25 that you can combine with this deal. They also have deep discounts on the other The Black Series 6″ figures. Special thanks to JTA reader Sam for the alert! Found! Battle On Crait Four-Pack Hits TARGET! Found! JTA reader Benjamin I. has found the Battle On Crait four-pack at his local TARGET in central Indiana. They’re beginning to hit brick and mortar now, folks! If you’re interested, the Battle On Crait multipack is available for order at TARGET.com. Special thanks to JTA reader Agustin for the alert! By Golly! What An Incredible Deal! What a deal! Hopefully, you took advantage of our alert earlier today. I also took advantage of the wonderful TARGET Cartwheel Deal today to reduce the BB-8 2-In-1 Mega Playset for a mere $69.99. If you need to understand better why this is such a deal, please check out our take on it in our Research Droids Reviews. Holy beep! Get the BB-8 2-In-1 Mega Playset for only $69.99 TODAY ONLY through your TARGET cartwheel app. Apparently this is an in-store only deal, but you can save this deal to your “digital” wallet until you get to the store. Check it out! Special thanks to JTA reader JPW for the alert! 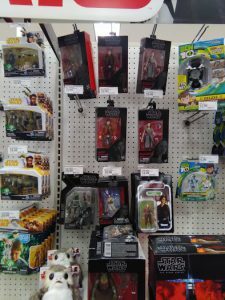 JTA Reader and Friend Charlie shared this image from his local Target of a Cassian figure stuffed in where the Praetorian Guard should be. This should’ve been an obvious move. There are 8 Praetorian Guards in the movie surrounding Snoke and we have yet to get all “versions” of the P-Guard. They should have definitely foreseen that this would be an army builder (or at least an army of 8) and a Praetorian single or two pack would’ve been a smart decision in my opinion. Would you buy a two pack of Praetorian Guards? UPDATE: Another example, same set, different store (Walmart). Is this happening near you? ← Ponda Baba is NOW ONLY $6.97! TBS6 [P3] X-34 Landspeeder Found At TARGET For Only $17.98! Holy cow! 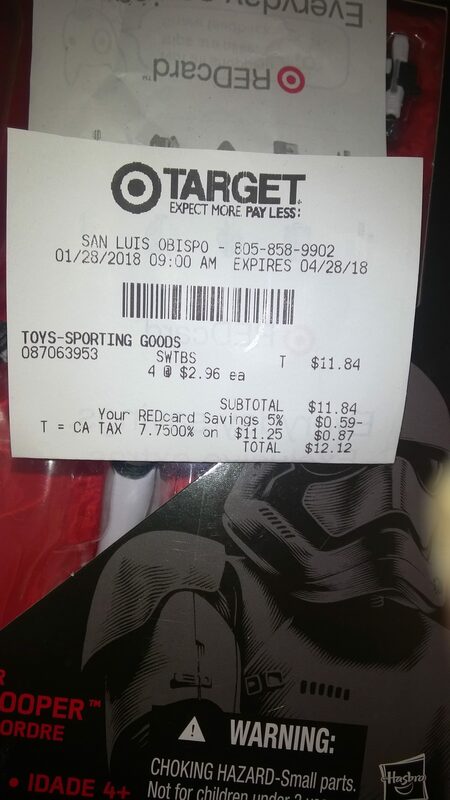 JTA reader Jay D. has found The Black Series [Phase III] 6″ X-34 Landspeeder for $17.98 at his local TARGET store on clearance. It’s likely not a universal markdown, but you may want to check your stores to see if you can score the same deal! This particular deal was found in Waterbury CT.